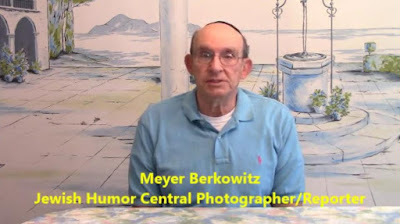 Jewish Humor Central: A Joke to Start the Week - "A Shabbat Aliyah"
It's Monday again, the day after Tisha B'Av, so no more mourning or fasting until Yom Kippur. It's clear sailing now for jokes and humor. Today's joke teller is Meyer Berkowitz, a long-time member of the Jewish Humor Central family. Besides serving as our photographer at Kosherfest and capturing video of our lectures and comedy programs, Meyer braved the cold and wind on a November day in 2014 to give us an on-the-scene report about the outdoor Shacharit minyan at the New York City Marathon.